Parenting a child is perhaps one of the most challenging tasks we may encounter in our lives. Every parent aspires for greatness in his or her kids. However, the development pace varies from one individual to another. It is vital to understand that children with development delays or special needs require professional help to make progress in the physical, cognitive, emotional and social domains. 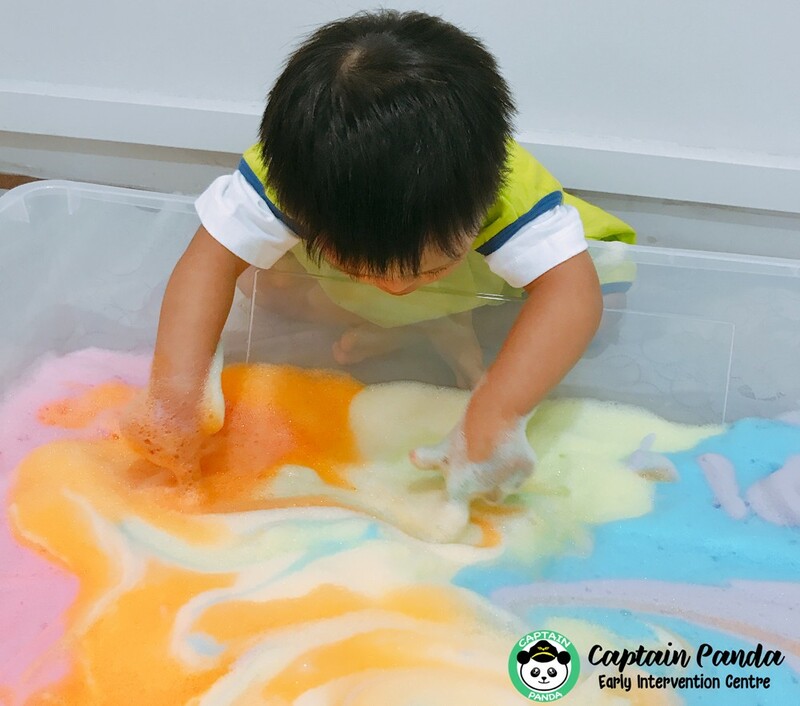 A strong believer in the holistic development of a child, we adopt an active learning approach whereby kids are exposed to authentic materials and structured activities that encourages positive behaviour. We serve children aged from 18 months to 7 years old who have been diagnosed/suspected with one or more disabilities. Daily programme is available and children will be occupied with different activities everyday throughout the week. For 2 or 3 days a week Programme, specific days will be assigned for the child to attend. Each session lasts 1 hour 45 minutes. Speech and Occupational Therapy sessions are included in all EIP programmes. The student-teacher ratio is 3:1. Our intervention approach is a combination of Activity Based Intervention (ABI) and Structured Teaching (TEACCH). Individualised Education Plan (IEP) for each child involving intervention within an activity-based environment will be developed. Each child’s outline goals and objectives are developed by the teachers, therapists in collaboration with parents to address skill deficits and build school readiness.Planned interventions are performed to increase the child’s emerging skills with regular evaluations completed by our EIP team members throughout the intervention period. Unable to work as there’s no alternate care? Existing teachers are unable to handle your child in school? Looking for smaller teacher-student ratio? No idea how to teach your child a certain skills? School holiday is here and looking for holiday programme? If you are checking one or more of the boxes above, we have good news for you! Our Enrichment Programme is catered to provide developmental support for children with learning needs and to provide support for working parents. We are able to take in children aged from 3 to 12 years old. The programme consists of daily routines and activities that will allow your child to work on and further enhance skills in the 6 domains.Due to most dietary requirement for each individual, we are not able to cater to each child’s need. Parents are encouraged to pack lunch to school, food will be warmed up before serving. Emergency Care and Holiday Programme are available to public under ad-hoc basis. We are open almost all year round except Eve of Chinese New Year, Teacher’s Day, Children’s Day and last two weeks of December. Half and Full Day Programme are available for Enrichment Programme. If you’re lost or not sure what should be the next step, we offer free consultation& advice with no obligations.We hope to render our assistance to as many families as possible. Is Your Parenting Style Creating Winners Or Whiners? My Child Is Not Scoring Well In School. Why?